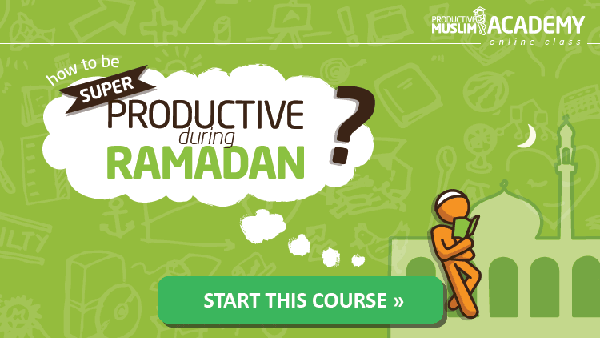 Productive Ramadan Online Course is back! Get ready for the release of our most anticipated course that only opens for enrollment once a year. We’re releasing the course before Ramadan starts so you can prepare early, gain the productive tools and skills you need, and make this Ramadan your most productive yet – mentally, physically, socially and spiritually – InshaAllah. I’m really excited with this year’s release, because we’ve upgraded the course’s infrastructure so you can easily access it through your mobile device and your tablet. Are You Ready For a Productive Ramadan? Pledge Your Intention With A Tweet!